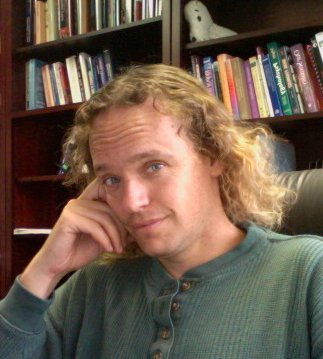 I'm the lab head, and also director of the Centre for Theoretical Neuroscience (of which the CNRG is a part). I'm jointly appointed in Philosophy and Systems Design Engineering, and cross- appointed to Computer Science. I have supervised students in each of these departments as well as Biology and Psychology. I did my undergrad in Engineering (Waterloo), and my PhD in Philosophy at Washington University in St. Louis. My first book with Charlie Anderson is called 'Neural Engineering' (MIT Press, 2003). My second called 'How to build a brain' (Oxford University Press) will be out in 2013. I'm interested in everything that is currently being worked on in the lab, including perception, motor control, learning, and cognition in the brain. I'm particularly interested in how all of the various aspects of the brain work in concert to generate sophisticated, adaptive behaviour. To this end, I work on developing mathematical and conceptual tools that allow us to rigorously test hypotheses about the principles of neural computation and biological cognition. I think such hypotheses need to be highly constrained by all of the various sources of information we have about brain function (e.g. electrophysiology, neuroanatomy, molecular biology, fMRI, behaviour, etc.). I also think the best way to test such hypotheses is through detailed simulation. Please see my main personal page for more information. A unifying mechanistic model of selective attention in spiking neurons. Modelling the differential effects of prisms on perception and action in neglect.